We can restore or clean your old Terrazzo floor or staircases, Terrazzo surfaces are cleaned using a deep cleaning diamond technology. This works by removing all dirt and soil which accumulates in the micro pores of the stone, after completion we will impregnate the Terrazzo tile and with a high quality sealer to protect the surface against water and oil penetration. When considering whether to clean or restore, we will carefully inspect the Terrazzo's floor surface. In many cases if the surface has been left dirty for long periods of time and subject to wear and tear over many year, we will then opt for a full restoration. Depending on the condition of the floor we would use a four stage process to deep clean and polish the Travertine surface. This unique diamond cleaning process will clean the top layer whilst removing scratches accumulated over many years of heavy foot traffic. Our extensive experience in Terrazzo cleaning and restoration will give you peace of mind when choosing a stone care professional. Terrazzo floors are a beautiful choice for flooring and can retain the original beauty for a very long time when cared for properly. 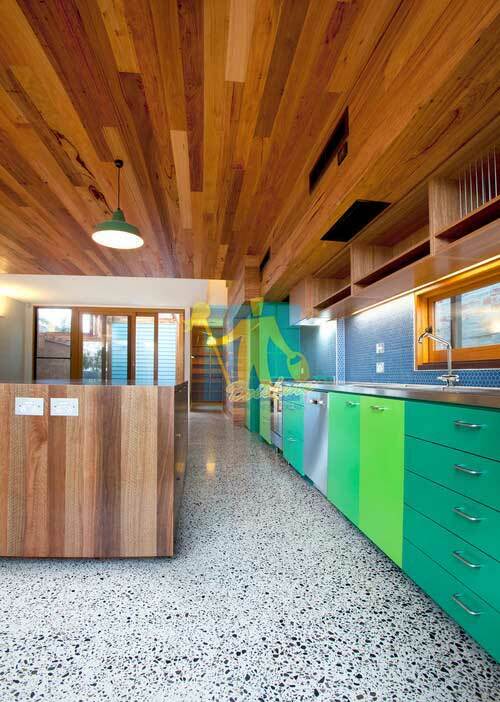 Tile Cleaners Brisbane® can help you maintain your Terrazzo floors and keep them looking beautiful for longer. 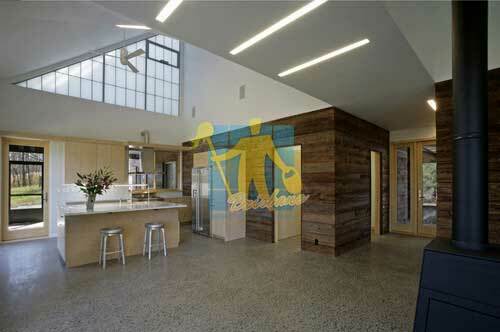 Terrazzo has always been dependent on being one of the most durable floor surfaces in the floor tile industry. 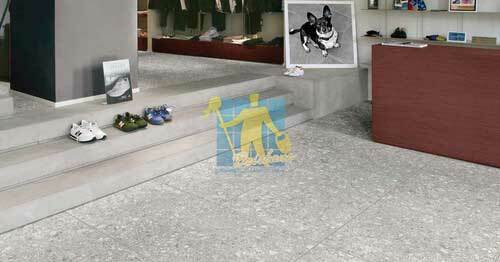 Terrazzo is usually a poured surface; however, it is now available as a precut floor tile. It is mainly used for commercial applications and it is available in many colors. 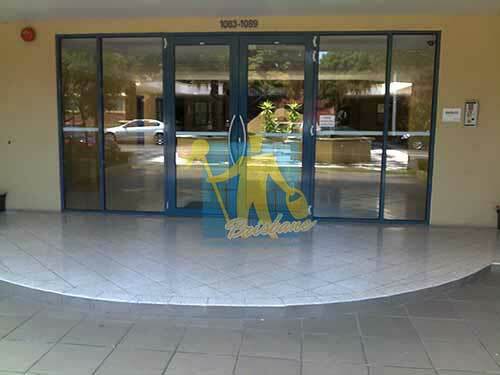 Tile Cleaners Brisbane® uses only top quality Terrazzo cleaners, Terrazzo sealers, and Terrazzo polishes. Sealing Terrazzo has been debated among us in the stone and tile industry for many years. 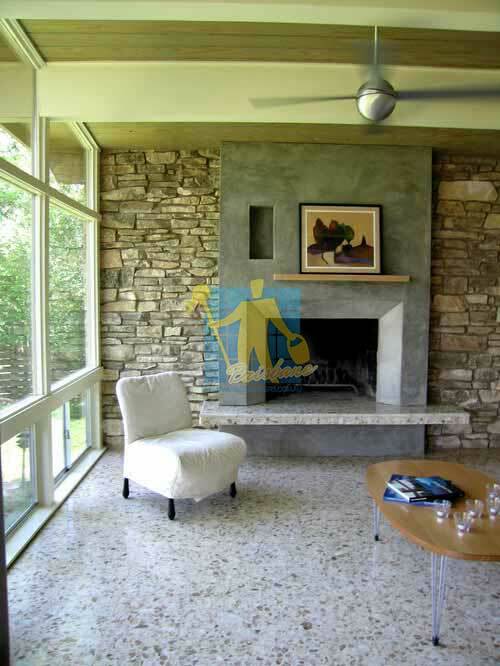 Terrazzo is a mixture of marble and Portland cement mixed together. Marble chips are sprinkled on the surface so that a majority of the surface is marble, the marble part of its surface is almost non-absorbent; however the cement binder is very porous and absorbs stains easily. This is the part of the flooring which will cause you the most grief. In older floors this seems to be the biggest problem, however if you are having a new Terrazzo floor installed, our recommendation would be sealing your Terrazzo when it's first installed using penetrating sealant approved for Terrazzo. This sealant will be absorbed by the concrete pores, greatly reducing the absorption quality of the concrete. When it comes to cleaning Terrazzo tile and grout, we strive to help educate our customers on the best protection they can have, helping them save time and money in costly restoration costs down the road.